Your favorite character from the hit series Stranger Things makes an adorable plushie. Help this cute version of Eleven evade the authorities and help her defeat the Demogorgon. 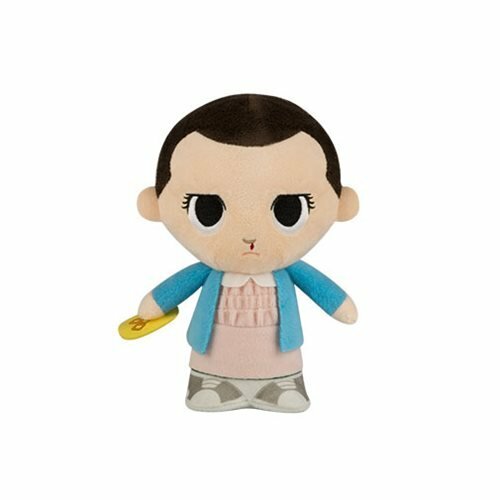 This Stranger Things Eleven Super Cute Plush from Funko is approximately 8-inches tall. Ages 3 and up.